I was instantly fascinated with concrete the first time I worked with the material, nearly 12 years ago. I got my start as a mason laborer working on residential applications such as patios, sidewalks, driveways, pool decks, home foundations, chimneys, fireplaces, and stone retaining walls. 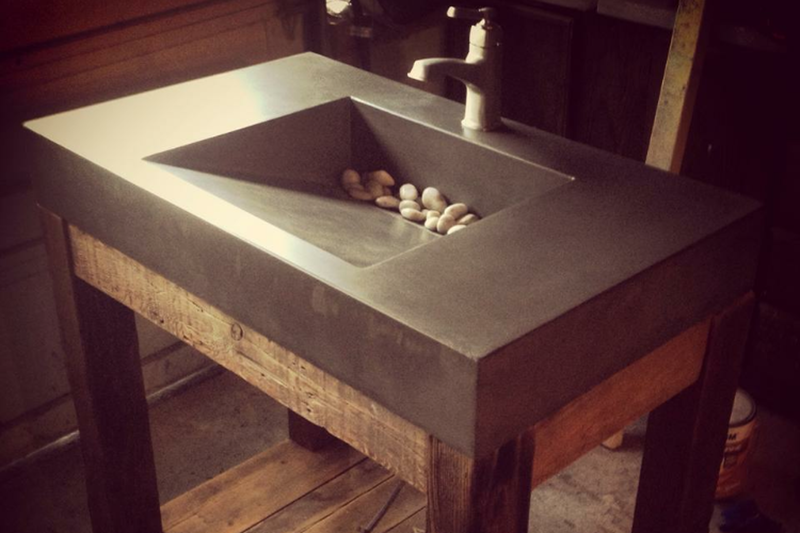 I quickly found I was drawn to the creative side of the industry, particularly working with stone. There was something special to me about taking a pile of stone and transforming it into a beautiful end product. Looking for a new creative outlet I decided to train with Jeffrey Girard at The Concrete Countertop Institute in Raleigh, North Carolina. 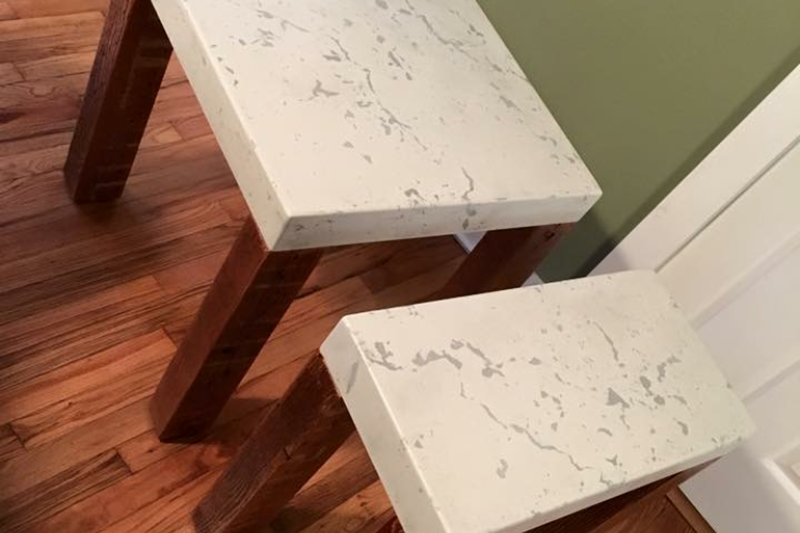 Stoneworks was born in the realization that much like working with stone I could take raw materials and transform them into beautiful concrete surfaces that can fit into any style. 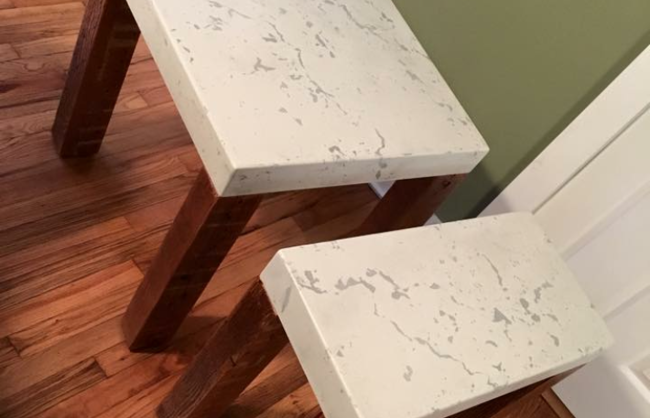 Concrete kitchen islands are quickly becoming the surface material of choice in the kitchen thanks to a fuss-free form that’s simple, durable and strong. 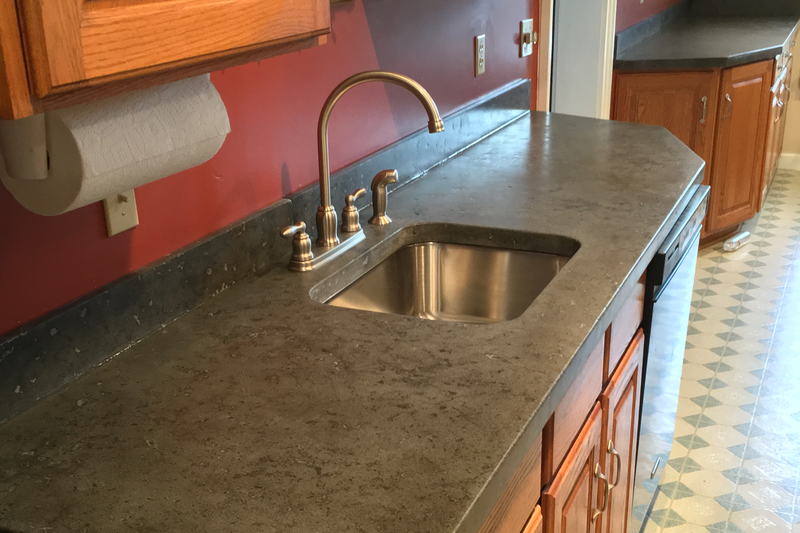 For a simple, clean look that’s neither fussy nor formal, concrete kitchen countertops are a trendy kitchen design element that’s on the rise. Concrete countertops work well in kitchens ranging from modern to rustic, making them a versatile option for a number of kitchen designs. We specialize in outdoor/indoor kitchens, fireplaces, interior stonework, retaining walls and stairs, stone walkways, patios and much more. Stonework projects are a lot of fun to do and make such a huge difference to your home’s value. We believe in the art of creating outdoor living spaces that feature natural stone masonry, stone water features, stone landscaping, and outdoor kitchens for a much more relaxing and more natural feel. 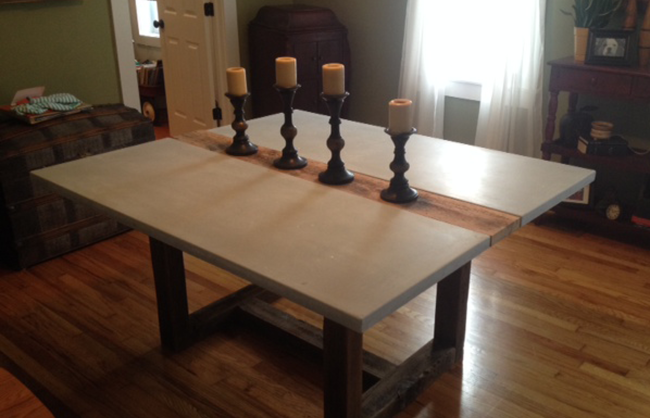 We offer a proprietary concrete table top option to all its designs. 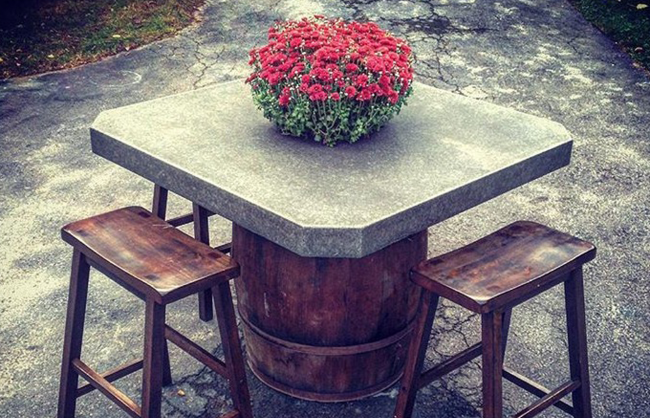 Concrete furniture is durable and can be used both indoors and outdoors. 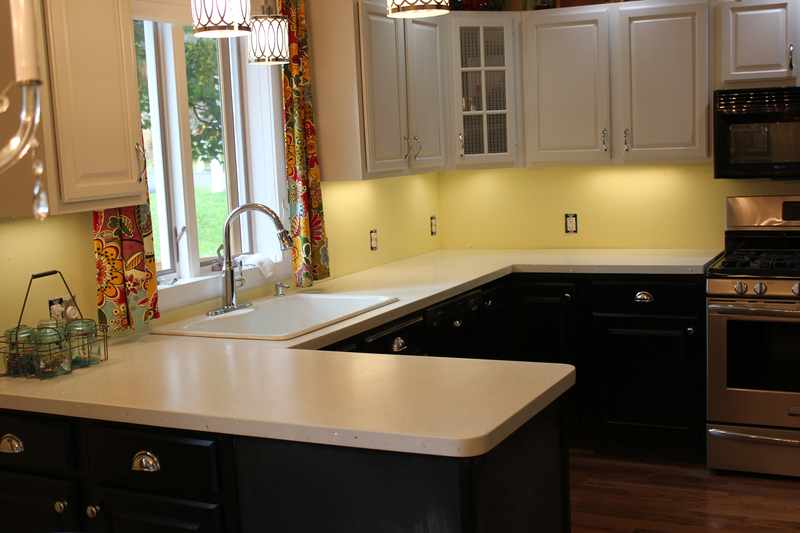 Call us today for a custom quote! Basic, essential and timeless, Stoneworks Concrete Artisans-style table is an icon of modern design. Topped in stylish concrete our natural handcrafted tables are framed with reclaimed lumber. Stoneworks Concrete Artisans is a leader in the art of fabricating concrete sinks; excelling in producing standardized and custom concrete sinks for both commercial and residential applications. 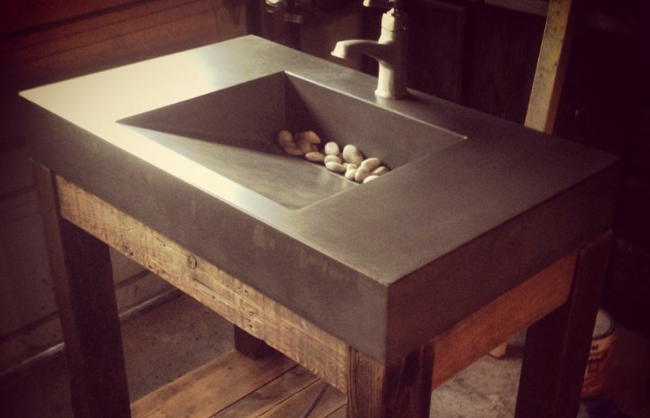 We create everything from innovative modern wall hung sinks to classic and timeless sinks and bathroom vanity sets.